The Irish Times 2017 Innovation Award winner Kastus is on target to double staff numbers by the end of the year following a move to new headquarters and the closing of a €3 million funding round. The company, which has created revolutionary technology to kill and prevent the spread of superbugs, is also close to signing two multimillion-euro contracts with leading international ceramics and glass manufacturers. The company has developed an antimicrobial spray coating which can be applied to glass and ceramics during or after manufacture or added to plastics and paint to protect surfaces from harmful bacteria and micro-organisms, such as MRSA and E.coli. The coating has a proven 99.99 per cent kill rate against harmful bacteria, fungi and antibiotic-resistant superbugs which makes it particularly useful for products such as ceramic tiles and glass used in hospital or other settings where hygiene is at a premium. The company plans to double its staff numbers to 28 by early in the fourth quarter of this year. 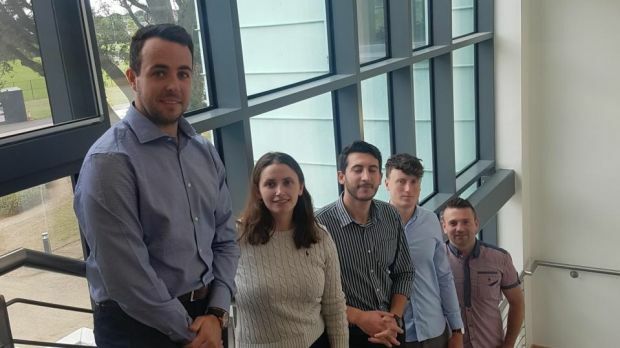 The five new recruits are Emma Corbett, who is heading up marketing; Daniel Misturini and Darragh Gillen, who have taken up roles as international sales executives; William Denning, who looks after after technical sales; and Paul Burtenshaw is business development manager linking up the sales and marketing efforts. Browne explains that smaller firms face difficulties in recruiting high-calibre people. “It’s a challenge for high-growth companies like ours to compete with multinationals for talent,” he says. “But we were lucky to have uncovered people who had been following our story in the media and wanted to come and work for us.